Corcheting is fun, as it does not limit your creativity. 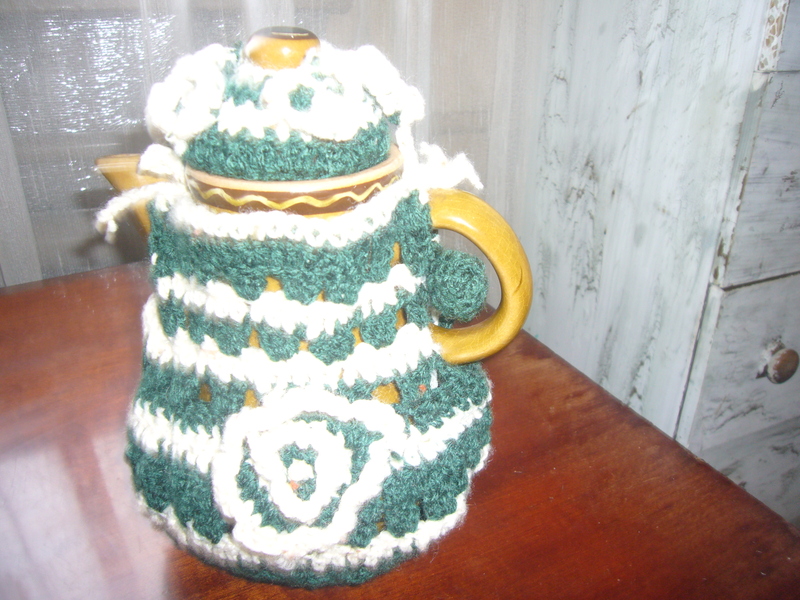 Here is a crocheted tea pot warmer. It is both a decorative and useful item. It keeps the brewed tea warm longer. And, it makes the tea pot looking nice on a served table. In a matter of hours you get ugly things turned into pretty ones. 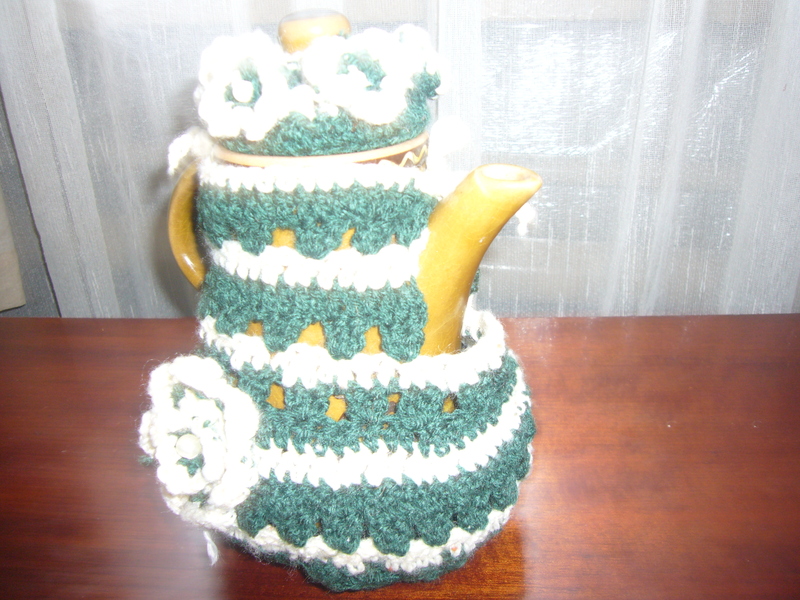 This entry was posted in Crocheting and tagged crafts, crochet home decoration, crochet tea pot warmer, crocheting, crocheting ideas, housekeeping, tea pot warmer. Bookmark the permalink.